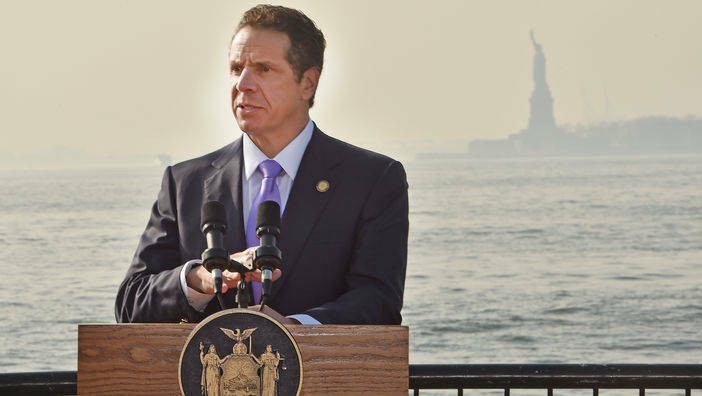 "The Columbus Monument is revered by the Italian-American community in New York and stands as a tribute to the ways our state has welcomed immigrants from around the globe," Governor Cuomo said. "I am proud that we were able to secure this designation, which will help ensure the history of all cultures that make up our uniquely diverse state is always recognized." The statue was listed on the State Register on September 20, 2018 after a unanimous vote of the New York State Board for Historic Preservation. The New York State Historic Preservation Office immediately recommended that the National Park Service add the monument to the National Register of Historic Places. The National Park Service accepted the nomination and listed the monument on November 20th. State and National Register listing is an honored recognition of historic significance and offers protections for the statue under state and federal historic preservation laws. National Register listing would also make the statue eligible for state and federal grant programs. The Columbus Monument is historically significant as an outstanding example of public art, as well as a representation of ethnic and social history. Italian immigrants faced strong prejudice and hostility as they arrived in increasing numbers in the late 19th century. Seeking inclusion in mainstream American society, Italian-American community leaders turned to the image of Columbus to create an ethnic identity that they believed would overcome prejudice and promote assimilation. Funds for the statue were raised by Carlo Barsotti, founder of Il Progresso, the first Italian-language daily newspaper in America, and the Columbus statue is one of five statues dedicated to Italians erected in New York City during the first three decades that Il Progresso was published. The statue was designed by Italian sculptor Gaetano Russo, well-known as a sculptor of allegorical figures and commemorative monuments in Italy. Rose Harvey, Commissioner of the Office of Parks, Recreation and Historic Preservation, said, "Listing on the State and National Registers helps to preserve, protect and improve New York's incredible heritage. I applaud Governor Cuomo for recognizing this history, and leading one of the strongest historic preservation programs in the nation." 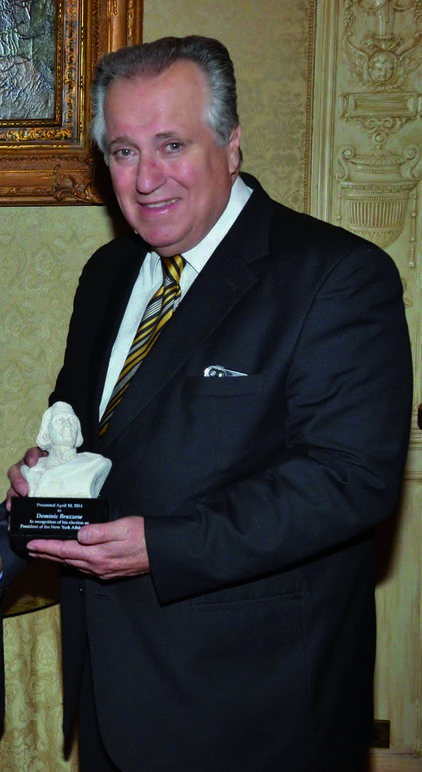 Congressman José E. Serrano said, "New York State has always served as a beacon for those seeking a new, better life, and for years, Italian-American immigrants for years have been able to look at this monument in Central Park and see a piece of their culture in the new country they call home. This historically significant monument is certainly deserving of the honor of being added to the National Register of Historic Places, and I applaud Governor Cuomo for ensuring that it received the recognition and protection it deserves." Congressman Jerrold Nadler said, "The designation of this historic monument on the National Register of Historic Places validates the significance of the Italian-American community in our state and the hardships many immigrants once faced. With this designation, this statue will forever be recognized and preserved as a significant part of our state and nation's history. I thank Governor Cuomo for pushing to get the Columbus Monument recognized by the National Register of Historic Places." Congressman Gregory W. Meeks said, "Italian-Americans are an integral part of the New York melting pot, whose culture is inextricably linked to our city's. 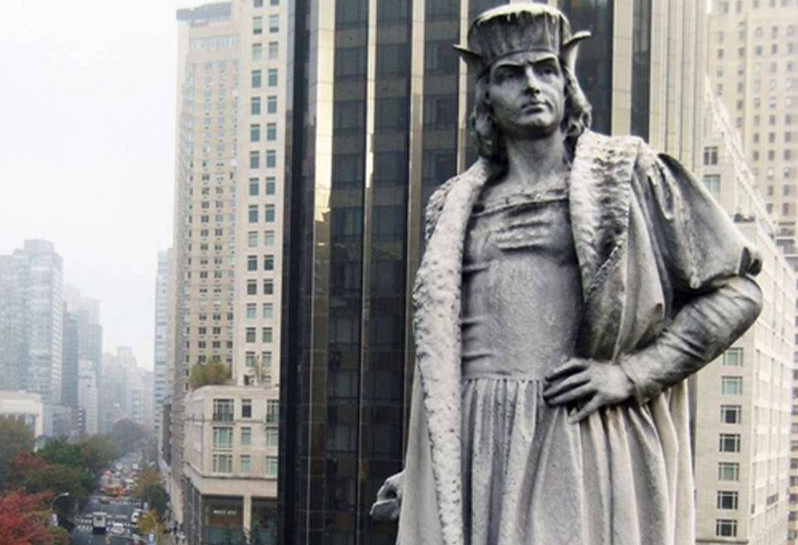 For decades, Italian-American immigrants have looked to the Columbus Monument as a symbol of both the adversity they have overcome and the strides they have made in this new and unfamiliar land. I commend Governor Cuomo for fighting to have this monument added to not only the State Register, but now the National Register of Historic Places as well." Congressman Thomas R. Suozzi said, "At a time when the Italian-American community faced discrimination and hostility, the Columbus Monument served as a unifying symbol that helped immigrants overcome these hardships. Now, the statue stands as a reminder to all immigrants in our nation that New York will always recognize and celebrate your unique cultures and history. I applaud Governor Cuomo for always standing with our nation's immigrants, and for recognizing the importance of this monument." Angelo Vivolo, President of the Columbus Heritage Coalition, said, "The Italian American community takes great pride in the Columbus Monument and the positive history it represents. We are grateful to Governor Cuomo and New York State for being a partner in its preservation."